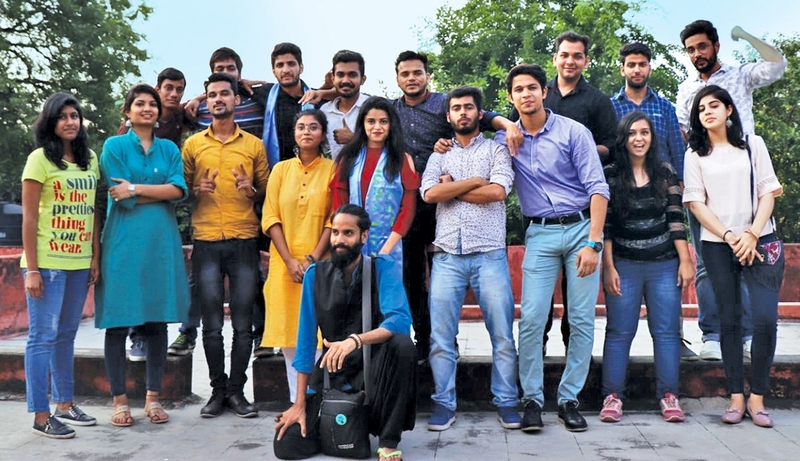 In October 2017, a group of 23 students from Jamia Milia Islamia, Delhi pursuing their masters in Visual Effects and Animation course were supposed to submit a project as part of their routine curriculum. Every one of them came up with a novel idea. Ubair Showkat, 24, a resident of Bemina Srinagar with his two other Kashmiri batch-matches Ubaid Shaffi, 23, and Nazim Hussain 23, also shared their idea. As the three boys shared their idea with their peers, it led to literal jaw-dropping in the entire group. They wanted to portray the ongoing situation back home using the ‘sand art.’ It was instantly approved. The trio lined up other fellow students to implement their idea. Though the idea belonged to them, all the 23 students participated in the making of this video. The group include Abida Javed, Aishya Tanver, Askhit Bharadwaj, Alyka Haiderzaidi, Armaan Khan, Atashi Saini, Debanjan Raut, Faisal Hayat, Faiza Ali, Fatima Sabih, Komal, Lakshay Sharma, Mohammad Asim, Mohammad Kamran Sherwani, Mubashir Abbas, Nazim Hussain, Rumman, Ghani, Sajid Ali, Salahuddin Ahmed, Shubankar Mehta, Sourabh Garg, Ubaid Shaffi Kana, Ubair Showkat. Every one of them contributed in making the project a success. They created a group of sixes to report the ground reality in Kashmir. The aim of the video was to show to the audience what is actually happening on ground level in Kashmir valley. Every group had to make a 40-second video clip. After thorough discussions and lot of brainstorming, they started to shoot the project after 15 days. It took them about half of the month to complete the shooting. In December 2017, after the semester vacations, the work resumed. It took its own time in editing and mixing photographs. Then came the requirement of music. After a lot of discussions within the group, the music part was given to a 20-year-old NIT student, Hujat Kirmani. Kirmani shared vocals with Manan Khan, a valley based vocalist. Bringing more creative elements in their artwork they decided to bring the politico satirist poet Zareef Ahmad Zareef’s into the frame. Instead of his face, his lyrics resonate in the background of the video in his own voice. The music video has intelligently used the voice of Khan and Zareef. Khan’s vocals talk about the pain and the crisis that is forcing the resident to pray for space where they live anonymous lives in peace and hatred. 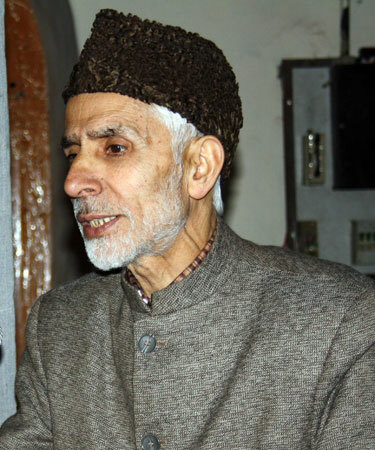 Zareef poetry gives an idea of Kashmir’s impressive past and is also a requiem for what subjugation and conflict can do to an otherwise vibrant society. He talks about how the people stand divided between different shepherds and what it costs are for a society. As the video moves towards a close, the idea moves towards hope as Zareef talked about how all these miseries and tensions could be overcome by rediscovering life. It concludes when the Shikaras which at the start were fleeing away from the frame start returning through the gloom and crisis persists. It was only after the product was ready that the group started working on naming the short-film. Finally, they agreed on Zaroorat Nahi, which means ‘not required’. Before making the artwork public, it was first shown to the course coordinator Atul Sinha and other faculty members including Professor Shaibani Azam, Dr Atul Sinha, Sony Thokchom, Saniuddin, Gazanfar Zaidi, and Rashid Ali for their review. The only addition they want to be done to the video was to add the subtitles so that it will be easy for other people to comprehend what the film-makers were so keen to show. Finally, the work was submitted to the department and uploaded to the YouTube. Thousands of people watched the video and the response was impressive. 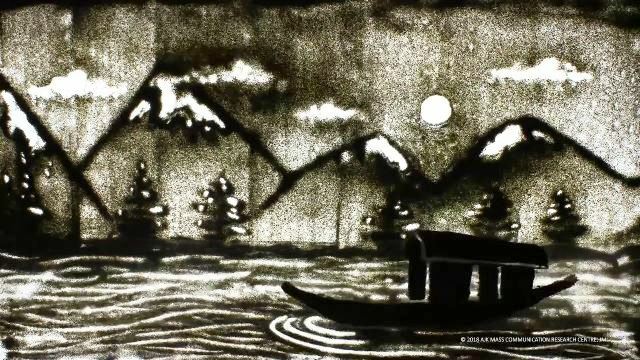 Within a couple of days, the video was nominated for the FICCI Best Animated Frames (BAF) Award under the Best Student Animated Short Film category. “Our video was selected out of around 300 animated movies, which I think was a ray of hope for all of us,” recalls Ubair. The award was then received by two students out of the 23 students, Ubair Showkat and Debanjan from Mumbai.